The IAB Tech Lab recently introduced the Ads.txt initiative (official website) to increase transparency in the programmatic advertising ecosystem. The “Ads” in Ads.txt stands for Authorized Digital Sellers, and it is a relative simple method for publishers to declare who is authorized to sell their digital inventory. In short, the Ads.txt file contains the publisher’s out loud references for his authorized sellers. The process is pretty straightforward. The publisher puts a text file in his web server on the root level of the domain (publishersdomain.com/ads.txt), it must be called ads.txt, and it must have its Read permissions set to “World”. The file must obviously follow the IAB format (see below). This file should list all of the companies that are authorized to sell the publishers’ inventory. Similarly, programmatic platforms will integrate ads.txt files to confirm which publishers’ inventory they are authorized to sell. This will allows buyers to check the validity of the inventory they purchase. Why do you need Ads.txt? 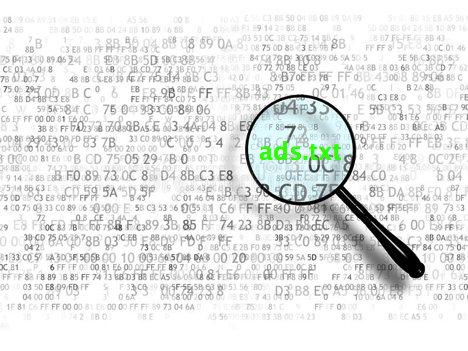 As described above, the ads.txt initiative is going to increase transparency in the programmatic advertising ecosystem. So if you’re a publisher, Ads.txt can help you block unwanted advertisers from running on you site and improve ad quality as well as user experience, in regards to all kind of malicious bad quality ads. Furthermore, as advertisers and buyers will be expecting Ads.txt on publishers’s websites, publishers with Ads.txt in place will be regarded as more trustworthy. 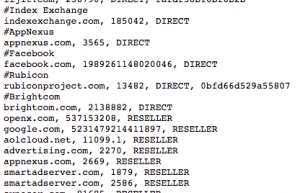 If you’re an advertiser/buyer, Ads.txt can help you prove direct relations with your supply sources and increase revenue, as well as improve traffic quality and transparency. As an advertiser with very strong relations with direct publishers, Brightcom is an enthusiastic supporter of the ads.txt initiative and has been encouraging all its direct publishers to implement an ads.txt file, and include Brightcom’s as a direct and indirect seller. If you already have an ads.txt file in place, or if you’re just setting one up, adding Brightcom is a piece of cake code – just ask your account manager for the details, copy-paste the text into your ads.txt file and that’s it. Got any question about Ads.txt? We are here for you. Don’t hesitate to contact your account manager at Brightcom or email us at [email protected], and we would be happy to assist. Avriam Kadosh is Head of Media at Brightcom. In his position Aviram is helping publishers monetize their ad inventory. In his role Aviram has been an avid supporter of the Ads.txt initiative since its inception.